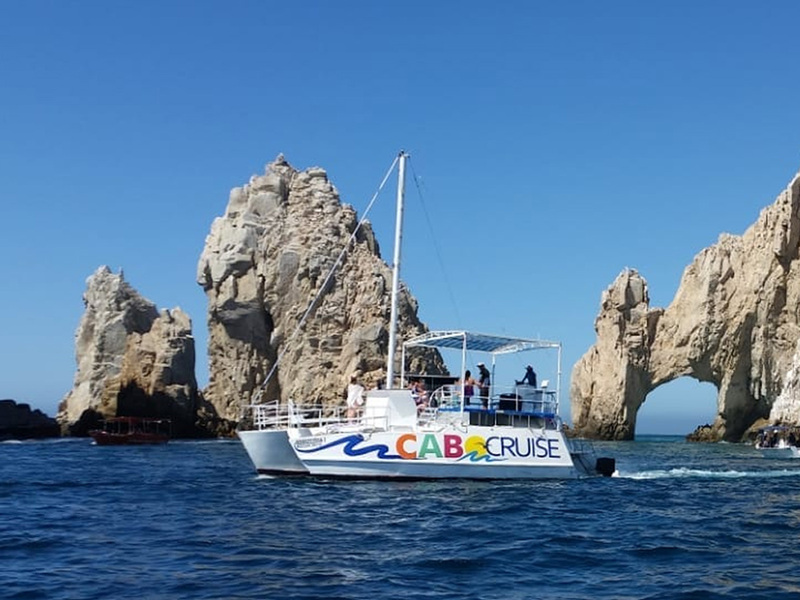 This 42-foot trimaran is the perfect vessel to explore and make trips in and out of Los Cabos Bay. Either enjoy an Evening Cruise or go and explore during the day. All drinks are included like; Rum, Tequilla, Beer, water, soda's and juices while they also offer a range of snacks to feast on. This trimaran is available by the hour (min 2 hours) so you can make and plan your own itinerary. This boat has both male and female toilets on board. All drinks are included like; Rum, Tequilla, Beer, water, soda's and juices while they also offer a range of snacks to feast on.